Stan's Cafe are a Birmingham based theatre group. 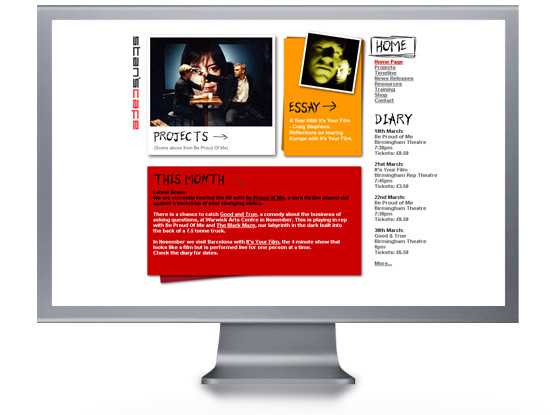 Stan's Cafe website: we designed the site to represent their full range of work in a coherent and easy manner, but without losing the eclectic feel. A Delicate Balance: this was a Stan's Cafe project with St. Albans School. 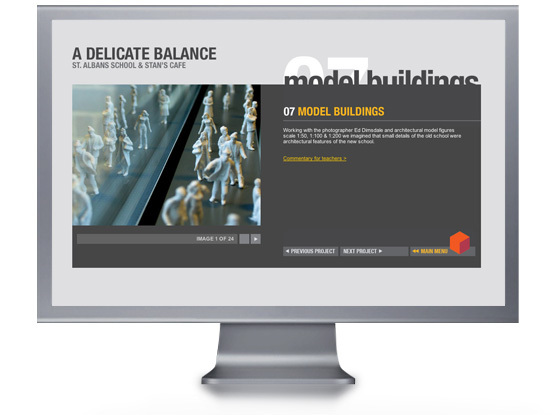 The website design shows the results of a class project to redesign the school. The redesign project utilised areas such as maths and physics to encourage the children to think about the role of these aspects within any design. 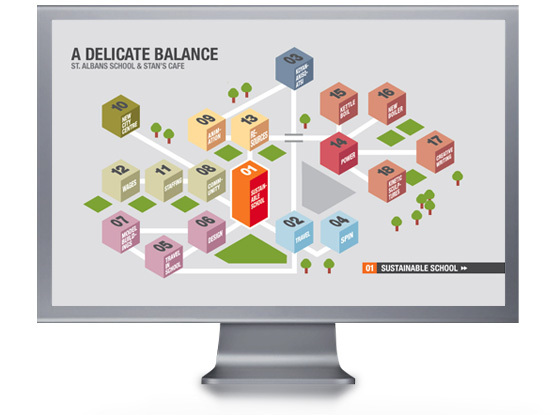 The main menu of the website takes the form of a school map, with blocks representing the differents tasks. 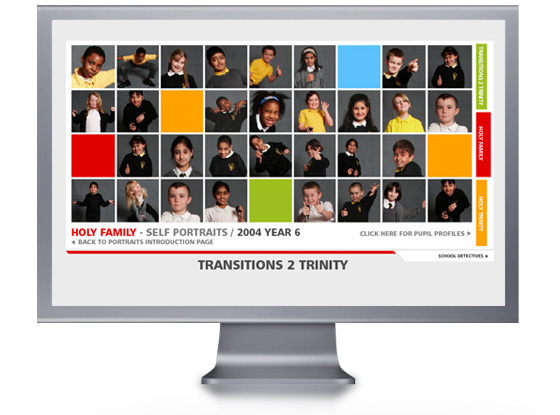 Stan's Cafe Transitions 2 Trinity project: a website for children about to start at Holy Trinity school in Birmingham. 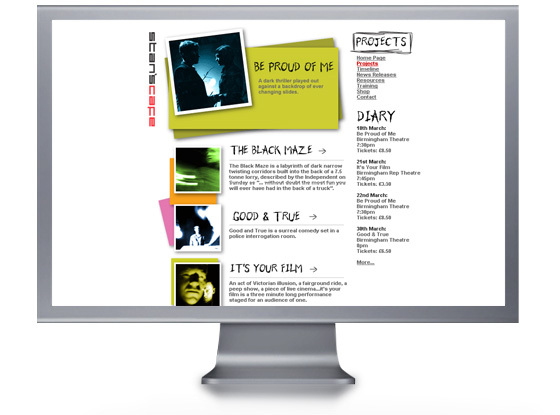 The website shows a wide range of information about their new school, allowing them to explore areas and see pictures. It also shows some of the pupils and how they changed over the three years of the project.